After it was announced Friday (Aug 20) that his application for presidency in Haiti had been denied by the country’s electoral officials, Wyclef Jean made a special announcement of his own, attacking lawmakers in Haiti and accusing them of being politically motivated to keep him from adding his name to the ballot. He also said that he would appeal the decision. 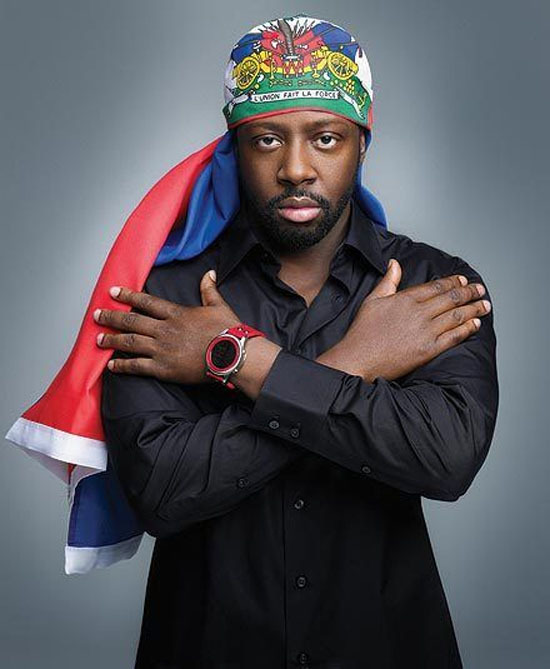 However, Haitian law experts say that Wyclef Jean would be wasting his time in filing an appeal…because according to article 191 of Haiti’s electoral law, rulings by the country’s electoral council are final and absolutely cannot be appealed. A ruling by Haiti’s electoral council that disqualified hip-hop star Wyclef Jean from running for the presidency is final and cannot be appealed, a council lawyer said on Tuesday. Jean was one of 15 candidates disqualified from running to succeed President Rene Preval, who cannot stand again after serving two terms. A total of 19 candidates — including two former prime ministers, a former minister and a former first lady — were approved to run in the presidential election. Electoral officials said Jean failed to meet a requirement that presidential candidates maintain five consecutive years of residency in Haiti prior to running. The singer insists he presented documents to electoral authorities that demonstrate his five years of residency. “I have spent half my life in Haiti going back and forth,” he told MSNBC in an interview on Tuesday. “The electoral council is very corrupted,” he added, saying potential political rivals feared his presidential bid. Jean has said some of the approved candidates failed to meet the residency requirement but were accepted nevertheless. Pierre said the electoral council was aware some rejected candidates believed they could appeal against the rulings. “This is a waste of time because, when it comes to electoral matters, the electoral council is the Supreme Court, meaning there is nowhere else to go,” he said. Pierre said the council had not received any formal appeal from Jean or his lawyers, although they may have gone to another legal body. Jean says his celebrity status would make him an ideal “global president” who could attract aid and investment to Haiti after the earthquake, which killed up to 300,000 people and crippled the underdeveloped Caribbean state’s economy. United Nations and Haitian police have stepped up joint patrols in the rubble-strewn streets of the capital, where more than 1.5 million people are still living in fragile tent and tarpaulin cities at the peak of the 2010 hurricane season. SMH, Poor Wyclef… They just rained all over his lil’ parade! !